Best known as a stand-up comedian, Bill Burr has also made a name for himself with his “Monday Morning Podcast,” which he has been hosting since May 2007. The comic has appeared numerous times on TV shows and in movies. In 2017, Rolling Stone magazine ranked Bill Burr 17th on its list of the 50 best stand-up comics of all time. However, despite all of Bill Burr’s accomplishments to date, you may still be wondering how Bill Burr’s net worth has grown to an estimated $9,000,000? 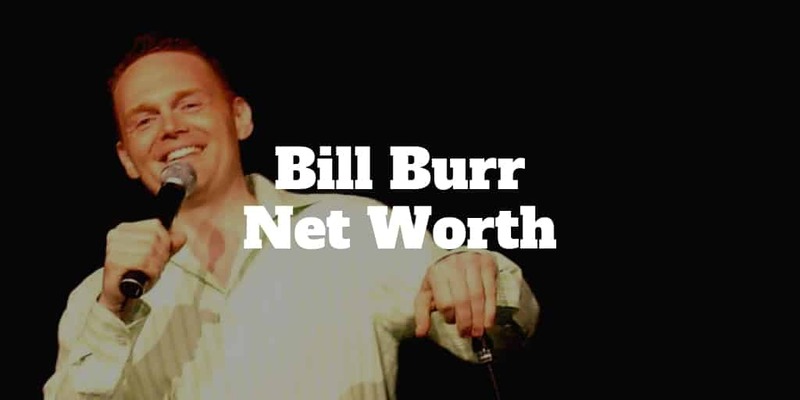 Can You Match Bill Burr’s Net Worth? Burr has done several hour-long comedy specials. The first of his hour specials, “Why Do I Do This?,” opens at the subway station where Burr is waiting for his train. While he waits, he jots down the comedy set he plans to do that night. He gets off the subway and goes onstage, just like any other day in his life as a performer. One reviewer called his comedy in this hour-long show explicit and brutal. Another critic mentioned Burr’s razor-sharp wit. In “Why Do I Do This?,” Burr touches on topics that drive him crazy, including girlfriends and political correctness. The rest of the show includes well over an hour of extras like Burr’s battle of the drums with Joe DeRosa. He shows you around the performing arts center at NYU where he recorded his show. 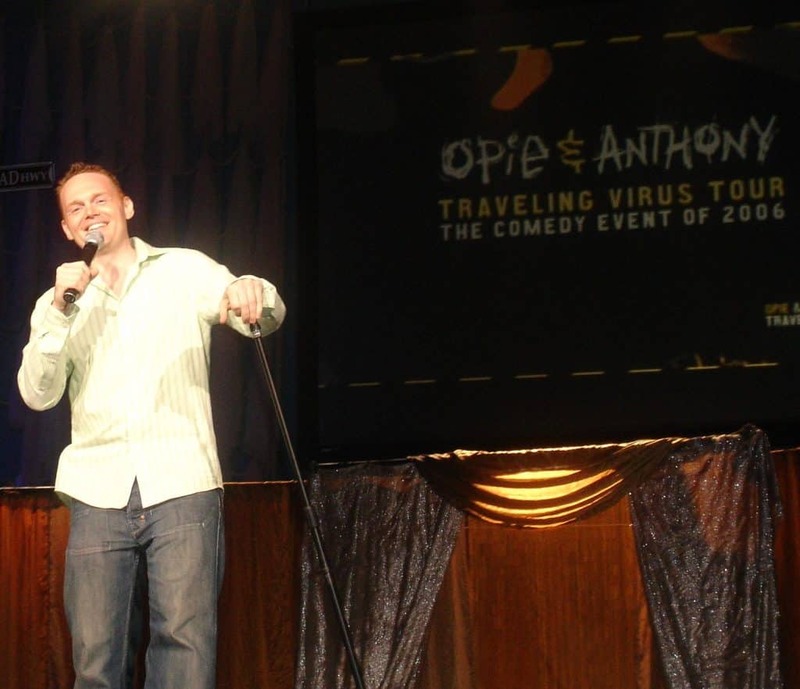 It also includes a clip of his “Opie and Anthony Traveling Virus Tour” performance. Filmed at San Francisco’s iconic Fillmore Theater, Burr’s 2010 one-hour special, “Let It Go,” is proof that nothing is exempt from Burr’s brand of angry-man humor. He entertains with funny voices and weird expressions that make his audience howl with laughter. The special includes plenty of extra bonus footage. You can also enjoy some outtakes from the filming of the special and a few minutes of Burr’s “Monday Morning Podcast,” too. Bill Burr’s third one-hour comedy special, “You People Are All the Same,” came out in 2012. In this performance, filmed in Washington, D.C.’s Lincoln Theater, the comedian revisits some of his favorite topics in his inimitable, non-politically correct fashion. His dedicated audience expects nothing less than Burr’s unadulterated viewpoint. The audience even seems to be prepared to forgive a bit of misogyny and racism for a belly laugh. “I’m Sorry You Feel That Way” comes out of Atlanta’s Tabernacle Theater in 2014. It is unique in that it was filmed in black and white, which gives it an intriguing vintage vibe. Scientology, zombies, overpopulation, and rom-coms are some of the areas the comic covers in this special show. Burr’s irreverent and cynical brand of humor runs rampant throughout “I’m Sorry You Feel That Way,” giving die-hard fans plenty to laugh about. The comedian recorded this one-hour comedy in 2014 specially for Netflix. Filmed in 2016, “Walk Your Way Out” is a Netflix exclusive comedy special recorded in Nashville. Burr targets fast food, Hitler, the presidential election, overpopulation, and gorillas who do sign language in this hour-long show. Even his most dedicated fans might find his election humor dated, though. At the time of filming, the presidential election was already over, but the transition had yet to begin. Watching “Walk Your Way Out” after Donald Trump has been in office may seem to be a boring rehash of a topic that has already been discussed to death by politicians, comedians, and the media. This special, more than any other, received some lukewarm reviews. Nevertheless, the remainder of “Walk Your Way Out” is pure Burr, complete with cynical undertones and in-your-face bluntness. Different angles on familiar topics plus some new material offer fans the vintage Bill Burr they have come to expect and enjoy. With his Netflix-sponsored specials plus numerous television appearances, Bill Burr has become a very visible comedian and has boosted his status in the industry as well as the demand for his distinctive brand of humor. This is a big reason that goes toward explaining how Bill Burr’s net worth is estimated to be over $9 million. In 2004, Burr appeared in three episodes of “Chappelle’s Show,” an Emmy-nominated sketch-comedy television series hosted by comedian Dave Chappelle that ran for three seasons. In one episode, Burr joined the ranks of such guests as Snoop Dogg and Q-Tip to play the role of Billy. In another, Burr took part in a skit as a detective. As an actor, he performed in two seasons on the hit TV show “Breaking Bad” in the role of Patrick Kuby, a thug working for lawyer Saul Goodman. He appears in the episode when the Whites are buying a car wash so that they can launder their ill-gotten gains, and he is on hand to help in the episode during which Walter White spearheads a train robbery. “F Is for Family” has been renewed for at least three seasons, attesting to its viewer popularity. Burr voices the character of Francis X. Murphy, a father, veteran, and irreverent Irish-American who lives in the Michigan area in the 1970s. Laura Dern is the voice of Sue Murphy, his wife. He has also cut several comedy albums and writes a blog for his own website. The comedian plays the drums, too, on the Goddamn Comedy Jam. He is licensed to pilot helicopters, joking that he got certified as a pilot so he would have a way out of Los Angeles in an emergency. He has listed his biggest comedic influences as George Carlin, Patrice O’Neal, Bill Cosby, Richard Pryor, and Sam Kinison. Burr’s “Monday Morning Podcast” has been going strong since 2007. Independently produced and distributed until 2012, the podcast is now on the All Things Comedy network. The weekly 60-minute show typically includes a monologue in which Bill Burr jokes about his daily life and various other timely topics. He opens his podcast by creating an immediate bond with listeners, saying he is just checking in on them. He sometimes has guests on his podcasts, including his wife Nia Hill. The couple go through emails from listeners, and they often disagree on issues, which makes for some very funny banter. Burr has also welcomed such podcast guests as Michael Rapaport and Joe Rogan, both of whom are his friends. Most of the time, though, Burr podcasts solo. The tone throughout the show is casual, and Burr’s humility appeals to his audience. He frequently laughs at himself, which makes him very relatable. Some say that listening to the podcast is often like sitting in your own living room with an outspoken but entertaining pal. You can tune into the podcast via YouTube, Castbox, Google Podcasts, and SoundCloud. Burr currently has well over 100,000 listeners through SoundCloud alone. In 2015, “The Thursday Morning Podcast” came online, which makes podcasting a twice-a-week gig for the comedian. Burr takes a unique approach to delivering ads during his podcasts, which gets people’s attention in a way that straightforward spots cannot. Burr often pokes fun at his advertisers and their products. While this may have lost him some advertisers in the past, the numerous times that subscribers share particularly funny deliveries on social media widen the broadcast net for many ads and ultimately boost sales because they get people talking. As his subscribers and podcast audience members multiply, Burr’s show is able to capture more advertising dollars. Being among the most-recognized and popular performers on the current comedy scene, he draws an income to match. When you consider the number and variety of venues he performs in, the estimates that put Bill Burr’s net worth at more than $9 million begin to make sense. In 2013, Nia Renee Hill married Burr. She is an actress, filmmaker and also a writer. She pens a blog called “XO Jane” that discusses romance, the entertainment industry, and beauty. Hill has worked on “Chappelle’s Show” as a talent manager. Hill and Burr have a daughter, Lola, who was born in 2017. The Burr family lives in Los Angeles. These days Burr has multiple streams of income. By staying in the spotlight on stage, on television, on radio, and even in video games, he has managed to continue building on his popularity. He tours frequently with his stand-up show, and he averages around 200 shows per year. He keeps himself in the spotlight and maintains a wide appeal across diverse groups of people throughout the world. Bill Burr amassed his fortune by traveling the country as a stand-up comedian, landing TV shows and acting gigs, and podcasting regularly. There’s no shortcut to reaching the top in the world of comedy but thankfully you don’t have to trod the same bumpy road to build wealth. If you’ve already built a nest-egg, you can invest it on auto-pilot at top robo-advisors, like SoFi Wealth, gain exposure to real estate hassle-free using online property marketplaces like Roofstock, or even loan your money to borrowers on peer-to-peer marketplaces like Prosper – where annual returns usually beat the payouts from old-school savings accounts. Whether investing in the stock market, real estate, or loaning out your cash to others, the returns over time can produce significant wealth and, best of all, you don’t have to hit the road, like Bill, criss-crossing the country performing at 200+ stand-up comedy gigs per year! Follow news on the Bill Burr Twitter account and updates on his Bill Burr Instagram account.